Sunny day today and hopefully we are on a warming trend now. I captured this image this past summer. 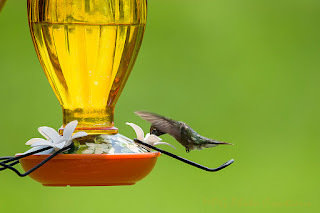 The Hummingbirds were feeding from the Baltimore Oriole feeder. I guess that was OK since the Orioles would eat from their feeder every now and then too.